This ebook is a treat for any magic historian as well as for anybody who likes to learn more about the history of the cups and balls. A collection of 20 woodcuts, copper engravings and oil paintings from the 15th and 16th century depicting conjurers with cups and balls is described in great detail by Kurt Volkmann, the president of the German Magic Circle from 1952-1958. For example, you will find the famous oil painting "The Juggler" by Hieronymus Bosch as well as an imitation and a very similar copper engraving. Read what we can learn from the various depictions of the cups and balls. One is for sure, the magician or conjurer was an integral part of life in the 15th and 16th centuries and before. This work was first published in German in 1956 and then masterfully translated by June Barrows Mussey aka Henry Hay. 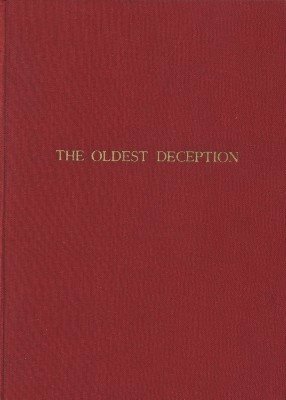 1st edition 1956; original 48 pages; PDF 45 pages. I've used this book for many years as a source for historical information on the cups and balls. Its value regarding this would be difficult to overestimate. However, the original edition was limited to fewer than 1000 copies, and it is now very difficult to find. Chris has done magicians a real service by putting this version of Kurt Volkman's book on the market. It covers graphical depictions of the cups and balls from the 15th and 16th century. When Volkmann wrote the original book, there was very, very little that predated these illustrations. In fact, it has only been in very recent years, through the efforts of Bob Read and Volker Huber that any earlier ones have been unearthed. If you are a cups and balls aficionado and you want to know more about the history of this ancient piece of magic, you really should treat yourself to this book.